Well it’s over! The 15th Annual QCL Kingfisher Derby wrapped up Sunday night with an amazing feast down at the Bell Ringer. 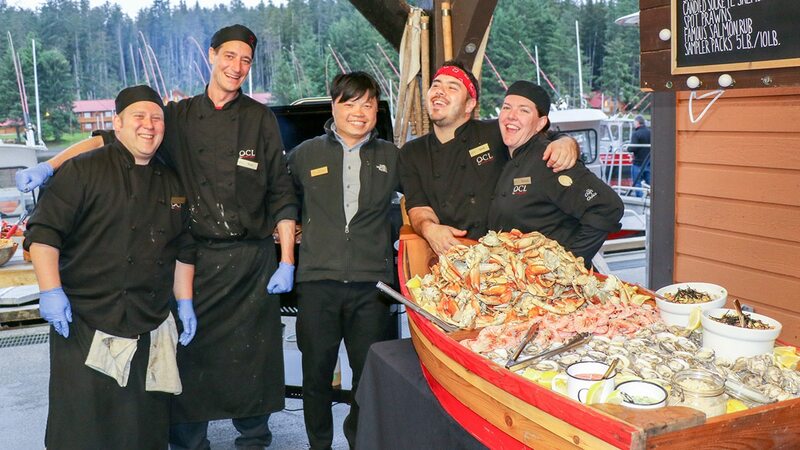 Delicious paella, barbequed whole pig, Dungeness crab, home smoked sausages and brisket, barbeque chicken, lox, candied and barbequed salmon, oysters and the list goes on… it was fantastic. Thanks to our awesome culinary team for bringing it all together for the derby wrap up! The fishing derby itself certainly tested the determination of the participants this year. 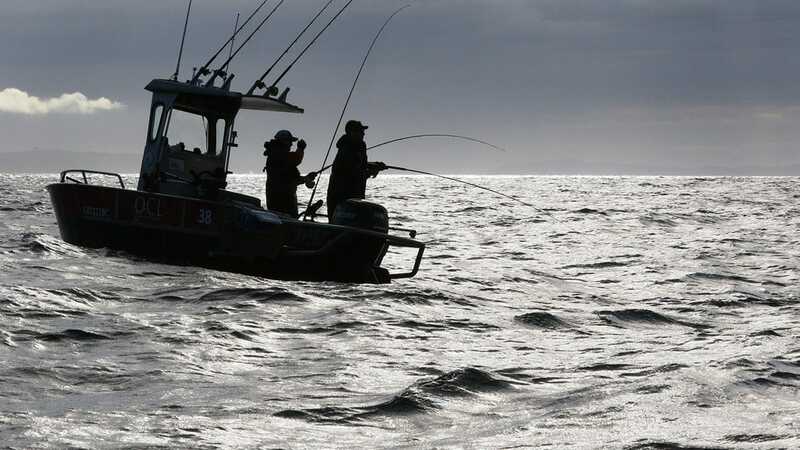 While non-derby anglers moved a little offshore to intercept the feeder Springs, those hunting for the big fish – the Tyee-class Chinook that would claim the prize – stuck close to the rocks and kelp where they tend to lurk. This can be slow going at times and patience is often rewarded. Favoured spots over the weekend were Cape Naden, Bird Two and Klashwun Point. We found some Tyees and it was close going for a while but in the end a big chrome beauty landed by Terry H on Saturday’s late flood tide was unbeatable. Fishing partner Eric T and their guide Mark Kasumovich knew they had a contender as soon as Terry hooked up just east of Cape Naden. When the derby weighmaster called out the score of 40.2 after measurement and release they knew this might be a tough one to beat. Their hunch proved correct and on Sunday night they celebrated with a hefty cheque for $60000. Congratulations Terry! Second prize went to Australian angler Wayne C for his 35.07 scoring fish and Mathieu S took third with a Chinook scoring 32.01. 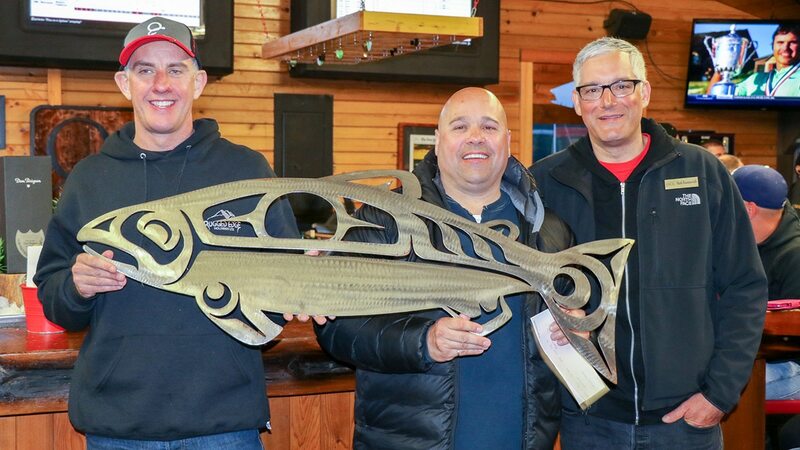 Wendy R claimed the single kill fish prize with an even 30-pounder and generously chose to donate her winnings to the Pacific Salmon Foundation. Bravo! All-in-all it was a stellar weekend with lots of first-timers joining the many veterans of derbies past to enjoy the excitement and suspense. Thank you to all involved and we’re already looking forward to Kingfisher Derby 2018!